Machine Type: Date Time Stamp Machine. 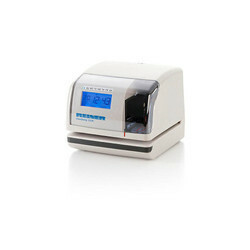 The Model T-RSU-3 Time & Date Stamp has been the standard for validating documents for many years. - Roller print action for quiet operation and long life.